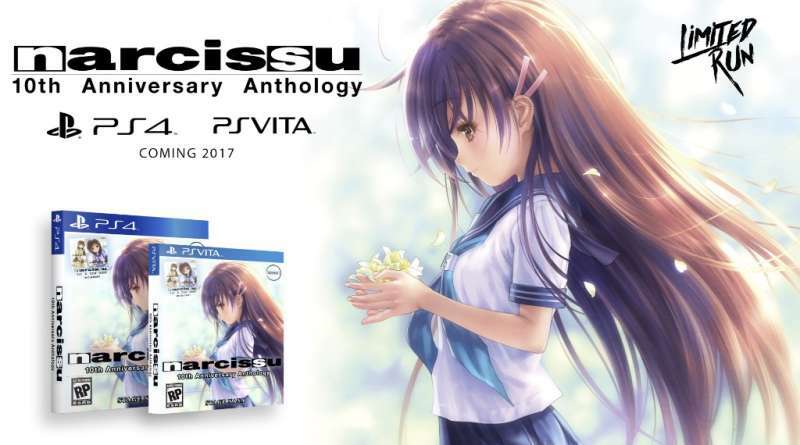 Sekai Project has announced that Narcissu 10th Anniversary Anthology is coming to the PS Vita and PS4 in 2017 as a digital release via the PSN and as limited physical release via Limited Run Games. Narcissu 10th Anniversary Anthology will include Narcissu 1st and 2nd of the popular thought provoking visual novel series about terminal illness, living, dying, and the relationship between those leaving and those left behind and will also have development materials and video footage about the game. Praised by fans for its moving story and high production quality, the original games have been downloaded over a million times and spawned a manga and light novel, and has been localized in several languages across the world. This anthology finally brings the games that were never released outside of Japan in any form to the world for eager fans, as well as updating artwork, voice work, and a brand new written chapter exclusive to this anthology: “Sumire”.